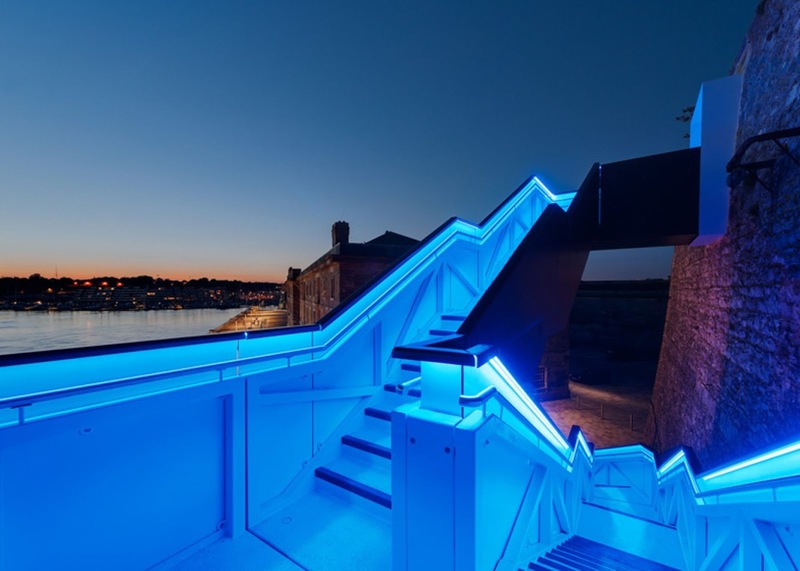 The staircase at Royal William Yard in Plymouth has been crowned the most sustainable scheme in this year’s AJ Small Projects 2014 Sustainability Award. The award is in addition to‘Commendation’ at the recent Civic Trust Awards and a Regional RIBA Award. 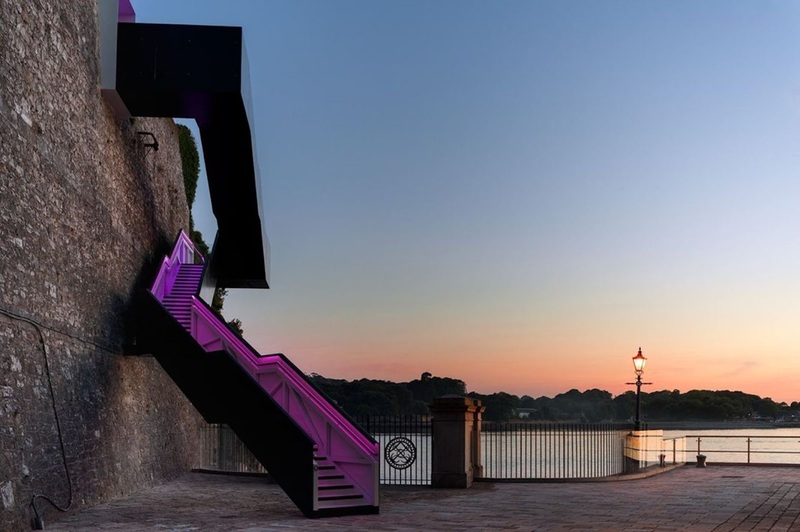 This dramatic stairs that links the defensive western end of the Royal William Yard in Plymouth to the public park above, allowing strolls on the South West Coast path. The Royal William Yard was designed by Sir John Renny to supply the entire Royal navy Fleet with beer, rum, ships biscuits and cured meat. 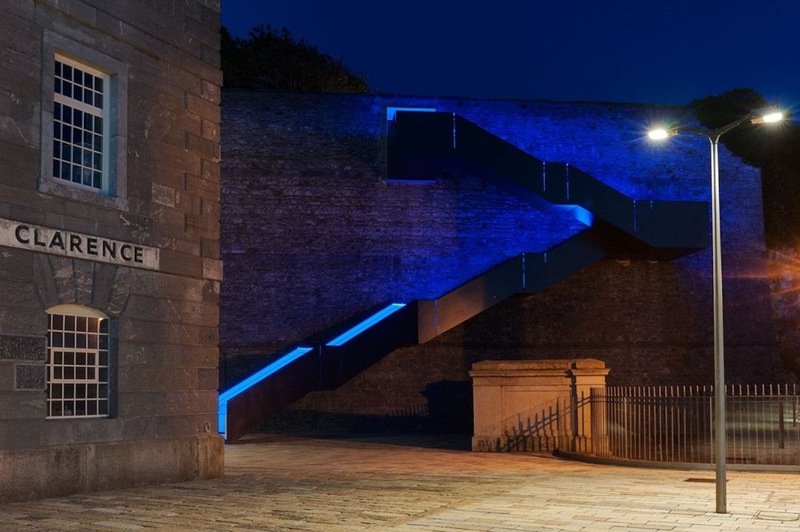 Built between 1826 and 1831 it was used continually by the Navy until the 1990’s when it closed and has since been subject to one of the largest regeneration programmes in the South West. 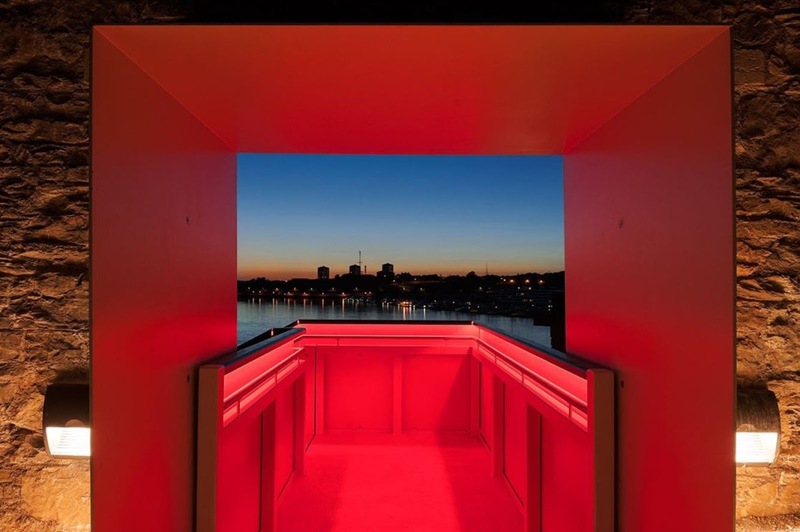 Gillespie Yunnie Architects have been working with developers Urban Splash since 2005 on the multi award winning Grade I Listed site, which now houses a mixture of apartments, offices, shops and restaurants. 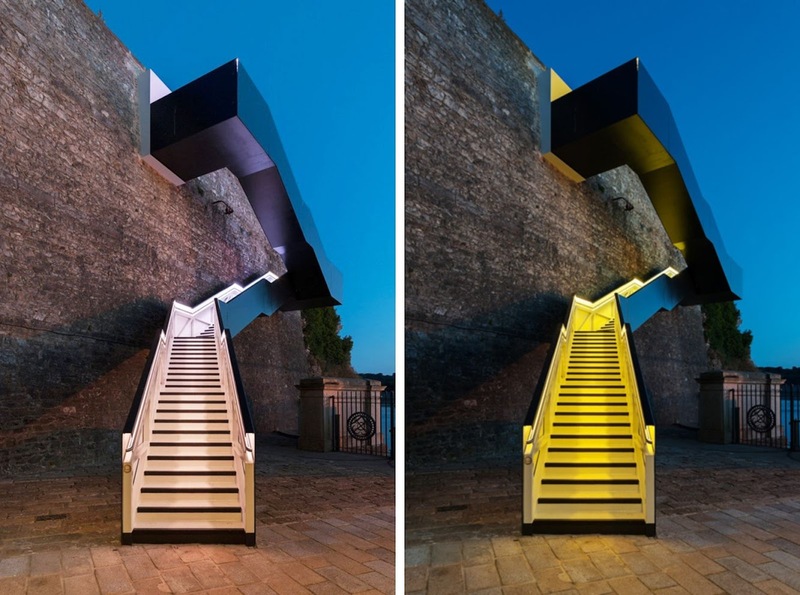 At night the stairs are illuminated by colour-shifting ribbons of LED lights.